STEM Birthday Parties are a Blast! Looking for a fun, unique, hassle-free birthday party? You’ve come to the right place! You pick the activity and we’ll do the rest! - Bath Bomb Chemistry - Everyone gets to make their own bath bombs to take home while learning about acid base chemistry! - Circuit Art - Everyone gets to paint whatever they want on a canvas, then wire up a circuit and add LED lights to illuminate their masterpieces! 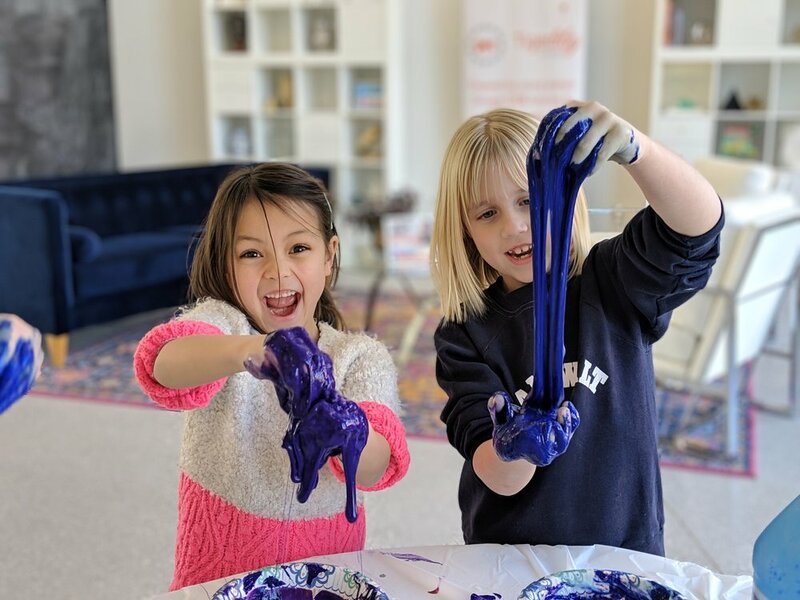 - Slime Chemistry - Everyone gets to make their own magnetic, color changing & glow-in-the-dark slimes to take home while learning about the chemistry & physics behind each one! - Terrariums - Everyone gets to make their own terrarium to take home while learning about botany, biochemistry & ecology! - Baking Chemistry - Everyone gets to bake cookies (or cupcakes) to decorate and eat or take home while learning about food science, chemistry and engineering! - Scent Science - Everyone gets to develop their own custom perfumes to take home while learning about the science of our sense of smell and scents! - Paleontology - Everyone gets to dig for real fossils to take home while learning about geology, fossilization and more! - DIY Candles - Everyone gets to make their own candles to take home while learning about the science of scents, states of matter, combustion & more! - Exciting STEM activity of your choice - everyone gets to take something home! Reserve your party date today! We’ll touch base with you closer to the date of your party to confirm the details and number of attendees. Questions before you book? Contact us! To reserve your date, you’ll be charged a $50 non-refundable deposit, with the balance due at the time of the party.